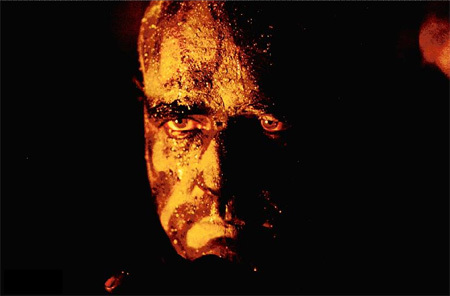 Apocalypse Now (1979) – Winning. Words. “I love the smell of napalm in the morning.” Few films have drilled so deep into the collective consciousness that a single line elicits both unanimous recognition and a chill right down the spine. Apocalypse Now is one of those films, and it’s packed full of lines like that. The magnum opus of director Francis Ford Coppola, his essay on the Vietnam War is legendary for its tortured production, its unflinching, grunt level approach to combat, and that magnificent, menacing turn by Marlon Brando. The latter’s renegade officer only crops up in the film’s final act (though to Coppola’s credit, his sinewy presence is felt the entire way through), but when he finally emerges, boy does he tip the scales. Not to short change Martin Sheen, who’s haunted (and haunting) as Captain Benjamin Willard, a veteran officer sent straight into the heart of the Vietnam War in search of Walter Kurtz (Brando). A decorated Special Forces officer, Kurtz has gone rogue in Cambodia, ruling like a God over the natives there – and it’s up to Willard to stop him, or die trying. Painting his landscapes like they’re part of the Sistine Chapel, Coppola approaches the thorny subject matter at the crux of his story with uncompromising grit and gall. Though tackling the war in a variety of ways – through snatches of dialogue, the actions of his characters, and heart-stopping violence – Coppola’s most impressive commentary comes in the form of his penetrating visuals. 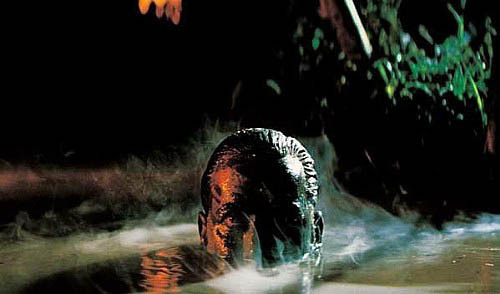 Blushing the rich hues of the jungle with tangible atmosphere, Apocalypse Now is the kind of movie that makes you not only see the rain, but feel it as well. Most memorably, Coppola lenses Willard’s journey up the fictitious Nung River as a trip into the bowls of hell, including a nightmarish encounter with soldiers who fire blindly into the night as the ground quakes and flames light the smog-choked sky. In light of the on-going ‘War On Terror’, Coppola’s film takes on a new kind of power. Though broad comparisons are flawed (but inevitable), it’s not difficult to draw a line between the arrival of US troupes in Vietnam (and the subsequent deaths of over one million Vietnamese people) and the US’ landing in Afghanistan.